Never expose audience members to laser light greater than the safety limits. Ensure the laser projection equipment can’t fail to an unsafe condition. Failure to do so puts audience members at unnecessary risk of harm from potentially harmful levels of laser radiation exposure. Pangolin’s Professional Audience Scanning System, known as PASS has been designed to address both these issues. It is impossible for humans to guess exposure levels. We’re also not fast enough to detect and react to a problem with the health of laser projector during a scanning affect. For these reasons safety monitoring has to be entrusted to hardware better suited to the task. Over the years there have been varying attempts at scanner or scan-fail monitoring incorporated into projectors, but for the most part existing designs have all suffered from shortcomings, limiting their effectiveness. PASS takes a step forward from such designs providing much more robust methods of monitoring the health of the laser projector’s output, and ensuring the intentional scanning output is kept at safe levels defined by the operator. Such is the level of reliability of PASS, that the module has been successfully used to gain a number of US operators a licence (variance) to perform legal audience scanning in the USA. PASS achieves this through multipoint monitoring and redundancy meaning that no single point of failure will allow a hazardous emission to reach the audience. Most traditional scan-fail monitors simply observe the combined velocity of the feedback signal from the galvanometer amplifiers, terminating the output if the signal goes below a predefined level. 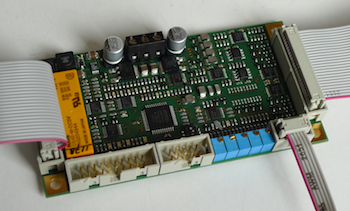 Not much larger than a credit card, the PASS PCB module can normally be accommodated in most projector designs. The board is inserted into the ILDA signal beam path, with additional connections to the scanner’s power supply and feedback signals required. For enhanced protection, a small light sensor should be installed into the projector’s beam path, just ahead of the scanners, allowing PASS to additionally monitor the light output. At the show location, typically only the Beam Power Parameter and Horizon Level will need resetting, to provide maximised protection. In the UK, whilst it’s not normally necessary to gain permission from the state to perform audience scanning, there are legal obligations to not over-expose venue workers, or members of the public. Audience scanning without taking sufficient precautions puts people at risk of harm, goes against official guidance, and can lead to adverse effects on business. If you want to audience scan you need to have a laser projector system that can assure the safety of persons in its presence. Contact us to find out how PASS could be integrated into your projector design, and learn how you can start providing audience scanning effects that can be demonstrated to be safe. Discussions about different implementations of PASS, including operational theory, set-up techniques and demonstrations are included as part of the LVR Advanced Laser Safety Workshop. 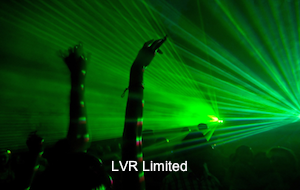 © LVR Limited. All rights reserved.